Running daily quests in World of Warcraft is the perfect way to earn quite a bit of gold in a short amount of time. WoW dailies provide an adequate source of gold for any character, and the Sholazar Basin dailies are among the highest paying ones in the game. This makes these WoW dailies perfect for any player who needs to farm for gold. Most of the daily quests in the Sholazar Basin pay about 13 gold per quest, and since this area is a level 77 area, your level 85 characters will be able to tear through these dailies in no time. Your character can only complete 25 dailies per day, so you have to pick and choose which ones you want to do. Choosing the easiest dailies to do is one of the keys to being able to get the most gold in the shortest amount of time. There is one thing that needs to be understood before you begin doing any of the WoW dailies in the Sholazar Basin. There are two factions that hold the Sholazar Basin dailies, and these two factions are enemies. This means that gaining reputation with one of the factions will cause you to lose reputation with the other. It also means that you can’t do all of the daily quests in this zone. If you’re farming for gold, then the best way to choose which faction you want to do the daily quests for is by looking at your current reputation. If you have a better reputation with one faction than you do with the other, then choose that faction. 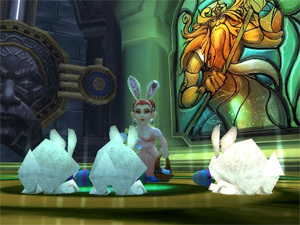 One of the reasons many WoW players choose to side with the Oracles is because of the Mysterious Egg reward. This egg can hatch into four different vanity pets and a green proto-drake. The green drake is extremely rare, and some people just love racking up all the vanity pets they can get. Other popular rewards from the Oracles include a couple of jewel crafting designs and the Oracle Talisman of Ablution, a level 200 trinket that’s perfect for any character. The most popular reward WoW players seek from the Frenzyheart Tribe is the Frenzyheart Brew, which changes you into a Wolvar for 10 minutes. It may not be very practical, but it sure is a lot of fun! There are also some jewel crafting designs that are available as you climb the reputation ranks of the Frenzyheart Tribe. If for some reason you decide you’d rather start doing the dailies that go with the opposing faction in Sholazar Basin, then it is relatively easy to switch factions. However, you will have to fight Artruis the Heartless. During the fight, you will see a Frenzyheart Tribe member and an Oracle start to join in. Just make sure that you kill the member of the faction you want to lose reputation with and leave the member of the faction you’re trying to switch to alive.